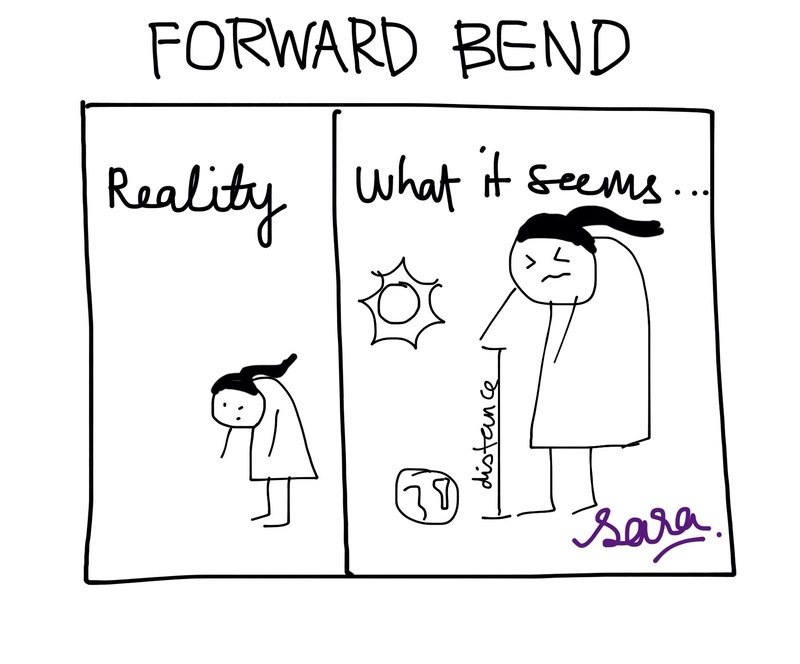 One of my resolution this year is to do a perfect forward bend (Uttanasana). What do I mean by perfect? Well, it means having my head on my knees and palms on the floor. Recently, I make myself do at least few minutes of yoga in the morning. Slowly, from an immaleable stick, I’ve turned into a bendable toy. While my head can’t touch my knee yet, but it’s getting really close! I find it amazing that a few minutes of yoga in the morning make such a big difference to my flexibility. It shows that, small and consistent effort can yield unimaginable results!